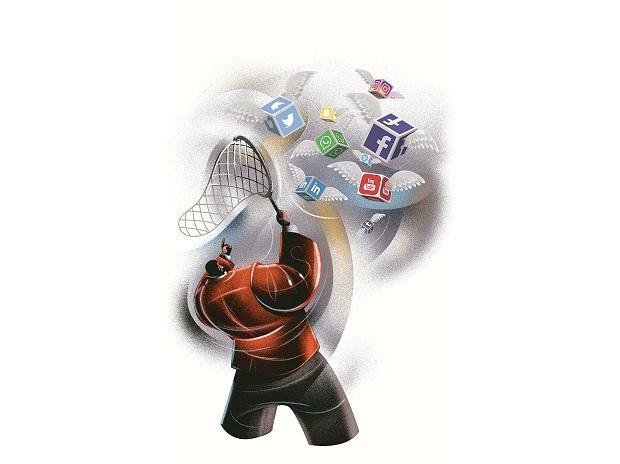 The Centre is not considering to take any penal actions on executives of social media firms for traceability of messages under the proposed changes to the intermediary rules, an official from the Ministry of Electronics and Information Technology (MeitY) said. According to a report by a financial daily on Saturday, penalties and jail terms for executives were being considered, especially on traceability and user consent before being added to groups. “We released the intermediary rules about three months ago. We have received comments and counter comments on that. There is nothing further on that from our side. People are free to interpret it in their own way,” the official said. In December, the ministry had proposed changes to Section 79 of the Information Technology (IT) Act, 2000. It had asked for public comments on draft amendments which seek to regulate a set of companies — Facebook, Twitter, Google, WhatsApp, Sharechat, Amazon Web Services, etc — that qualify as intermediaries. The proposed amendments, intermediaries said, need to provide information requested by the government or any authorised agency within 72 hours of receiving the request. “The intermediary shall enable tracing out of such originators of information on its platform as required by legally authorised government agencies,” the rules proposed. These changes do not mention arrests or jail terms for executives if they do not follow the rules. Several comments submitted by companies, industry associations, law firms and individuals have pointed out the lack of clarity in how the changes are worded and said it would violate user privacy. While it is easier to trace the origin of messages on platforms such as Twitter or Facebook, which are more public and open, it might not be the case with others. Take, for instance, WhatsApp. It is a messaging platform that uses end-to-end encryption. This means even the company's executives cannot look at the content of the messages being exchanged. “People rely on WhatsApp for all sort of sensitive conversations, including ones with their doctors, banks and families. The police also use it to discuss investigations and report crimes. Attributing messages on WhatsApp would undermine the end-to-end encryption, and its private nature, leading to possibilities of being misused. Our focus is to improve WhatsApp, and working closely with others in society to help keep people safe,” a WhatsApp spokesperson said. WhatsApp has earlier called the proposed changes "overbroad" and said it undermined the privacy of the people. Encryption, or the practice of scrambling data to make it unintelligible for even the service providers, has been an important tool to prevent government snooping. However, it has been equally abused, like for fake news distribution. The proposed changes in Section 79 attempt to fix in part, the issue of fake news. In 2018, several instances of fake news in the country led to several people being killed by mobs. India is WhatsApp’s largest market, with over 200 million users of the 1.5 billion it has worldwide. Last month, some technology websites reported WhatsApp was working on a feature that would let users control who adds them to different groups, an issue the government and civil society groups have been advocating for. When contacted, WhatsApp said it does not comment on future product changes.